This week Oracle Code will be having an online event consisting of 5 tracks and with 3 presentations on each track. This online Oracle Code event will be given in 3 different geographic regions on 12th, 13th and 14th December. 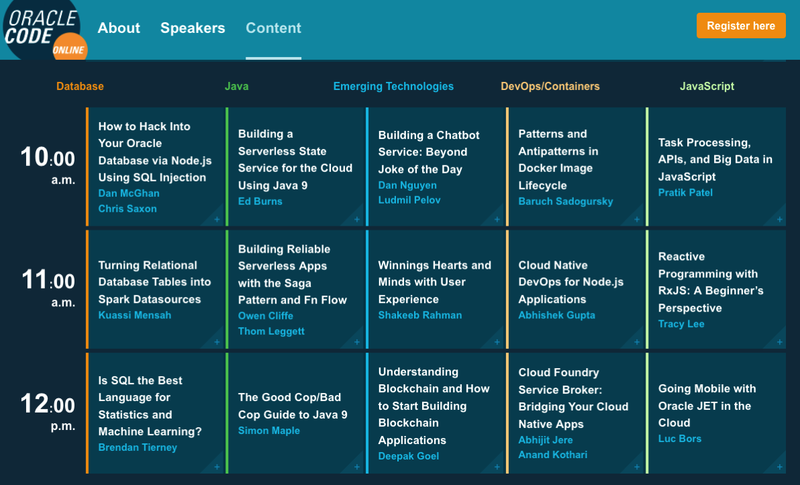 I've been selected to give one of these talks, and I've given this talk at some live Oracle Code events and at JavaOne back in October. The present is pre-recorded and I recorded this video back in September. I hope to be online at the end of some of these presentations to answer any questions, but unfortunately due to changes with my work commitments I may not be able to be online for all of them. The moderator for these events will take your questions (or you can send them to me here) and I will write a blog post answering all your questions.